Anna Cottrell's work as a documentary maker and oral historian has taken her from New Zealand to Gallipoli, and many places between. A strong advocate for the importance of telling local stories, she has chronicled people's experiences of parenthood, immigration and war. Cottrell has a special interest in what motivates people. She got into television "by mistake". After studying journalism at Canterbury University, Cottrell found that newspapers in Christchurch weren't keen on employing graduates. "So by default I ended up working for television, starting as a news reporter. I found I loved scripting — finding the right words to bounce off the pictures." News led to current affairs — only "current affairs life was not compatible with children" — before Cottrell found her home in documentary. Arktikos - An Arctic Odyssey (1993) proved "an exciting starter". Filming over long days without a sunset, she followed Graeme Dingle's attempt to be the first to circumnavigate the Arctic Circle. 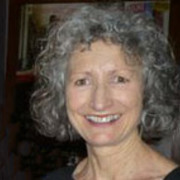 In 1997 she directed and co-produced three episodes of An Immigrant Nation, a finalist in that year's Media Peace Awards. Each episode focuses on a different family and nationality, and explores issues such as prejudice, loss, identity, and preservation of culture. A number of Cottrell's documentaries look at attitudes towards fertility and child-rearing. While working for TVNZ in the 1980s, she won a Qantas Media Award for a Close Up story on the early days of China's one-child policy. Later came The Baby Chase, which explores couples struggling with infertility. It was nominated for Best Documentary at the 1994 Banff Documentary Festival in the United States. Meanwhile Other People's Children followed a blended family, in which children spend time in different households. Her 2003 documentary Out of the Shadows centres on interviews with Kiwis who grew up with high profile parents — including Sam Hunt, Barry Crump, and Donna Awatere Huata. Cottrell also has a long interest in the stories of those who have experienced war. In 1999 she was awarded an Australasian Oral History grant to make Pacific War Stories, which saw her recording memories from people who served in the Pacific during World War ll. Cottrell explored Kiwi stories of war when she began directing the first of five seasons of Great War Stories. She describes the short, archive-heavy episodes as "haiku documentaries — they're stories about people caught up in a war, not of their making, far from home, full of tragedy and grief. Families have kept alive their stories, and have got letters or diaries. And that sort of sang to me in a way; if we can bring these people back — what they went through. Some of the letters are just beautiful." TV3 agreed to screen the 35 Great War Stories each April during their prime time news bulletin, from 2014 to 2018. The fourth season was nominated for Best Factual Series at the 2017 NZ Television Awards. The following year Cottrell compiled some of the Māori and Pacific stories together into a documentary for Māori Television. Cottrell has also made a number of documentaries touching on Gallipoli. The Last of the Anzacs (1998) interviewed two Gallipoli veterans and anti-war campaigners who signed up while underage. Children of Gallipoli (2001) has often screened at Anzac Cove before the yearly dawn service. Cottrell writes about both documentaries here, including tales of hospitalisation, modern day invasions and the challenges of Anzac Cove. Centering on two Kiwi and two Turkish students visiting sites where their ancestors fought, Children of Gallipoli was produced for TVNZ and Turkish television. Cottrell also produced the Kiwi sections of feature-length doco Gallipoli, directed by Turk Tolga Örnek. Onfilm reviewer Helen Martin praised Cottrell's 2010 documentary Lest We Forget as "a quiet but powerful exposition of stories told by Kiwis with strong Holocaust connections". It was made to accompany an Anne Frank exhibition, which toured New Zealand over three years. Cottrell's CV also includes 2018's The Kiwi, the Knight and the Qashqai. The documentary follows Wellington rug repairer Anna Williams to Iran, where she returns to stay with the Qashqai nomads, who are known for their rug-weaving skills. Filming under a hijab in 40 degrees of heat proved challenging. The same year Cottrell was invited to interview survivors and rescuers of the Wahine tragedy for the 15 minute long Wahine 50 Years On - Survival Stories. Cottrell is also the director of The Whistle Blowers, a documentary about sports referees and umpires, and what makes them tick. Her work as a co-director includes the 72-minute Getting to Our Place, (with Gaylene Preston) which captures the sometimes tense development of Te Papa Tongarewa (The Museum of New Zealand) and An Abbreviated Life (with Jan Jeans). Screened on television in 2008, it follows the life of a teenager living with cystic fibrosis. Cottrell's company AC Productions is also developing a documentary about quirky RNZ music show Matinee Idyll, and immigrant athlete tale Running for their Lives. Her oral history work includes projects women in the Chatham Islands, Stories of New Zealanders, an oral/video history of ten refugee families living in the Wellington region, and Christchurch quake chronicle Voices of Children. Culled from hours of interviews, the short film features "kids who survived the trauma with humour and optimism". In 2008 Cottrell and producer Jennifer Bush-Daumec set up The Migrating Kitchen trust, to showcase stories of refugees and migrants. The duo went on to make short films on 30 different groups living in the Wellington region. The films have screened as part of a continuing series of gallery exhibitions.